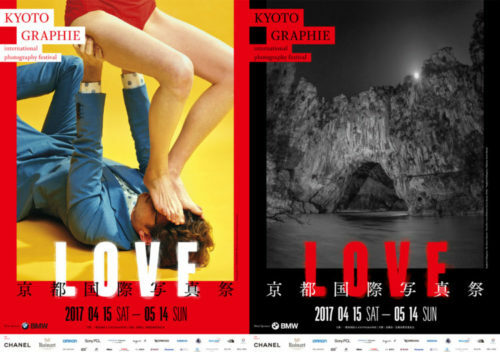 It’s a International Photography Festival in Kyoto. Now the 5th edition “LOVE” is holding in several places in this city. “Those feelings and concepts we call LOVE vary according to our background, including our religion, our view of history, where we come from, and our living environment. Such differences, however, can at times cause indifference, or turn love to hate, giving rise to serious problems that plague modern society, such as violence toward the vulnerable. This may be why humans know love to be so precious, and why we instinctively seek it in many forms. I thought it’s difficult to show love visually by photography. Because usually we tell that with a story like movie or novel. How can we express it just in a piece of photography. But I agree that love means recognizing the existence with other people, with society, with nature, with art, and with ourselves. Those buildings exhibitions holding are also beautiful places. They use some special, historical, traditional buildings which we can not go inside usually. It’s also nice to see how they put photography in each places. Especially this one at Ryosokuin in Kenninji temple. This place has amazingly beautiful garden like fantasy inside. And this Japanese artist “Nobuyoshi Araki”. His title is “A Desktop Love”. There are just flowers and puppets on the desk in the photo. It sounds very simple but those objects made us feel something like love somehow clearly or strongly. Haha but of course we can put another title on it. We can take it in by any kind of way whatever freely so it’s interesting to see art things. I would like to recommend this nice event until 14th of May. You can come back next year if you will miss it haha. We also sell the ticket at the reception in Gojo guesthouse.